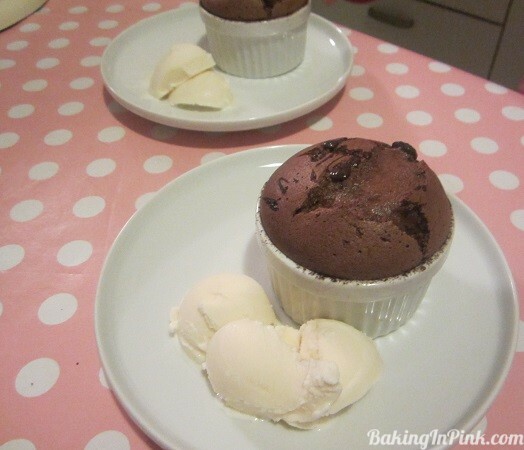 Take 2 souffle dishes or ramekins and brush them with softened butter. Brushing the sides with upward strokes works as an insurance for rising. 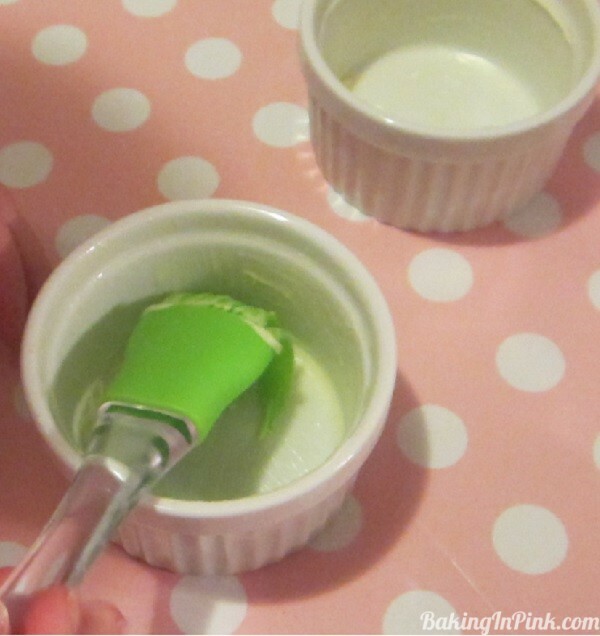 Place the greased ramekins in refrigerator. 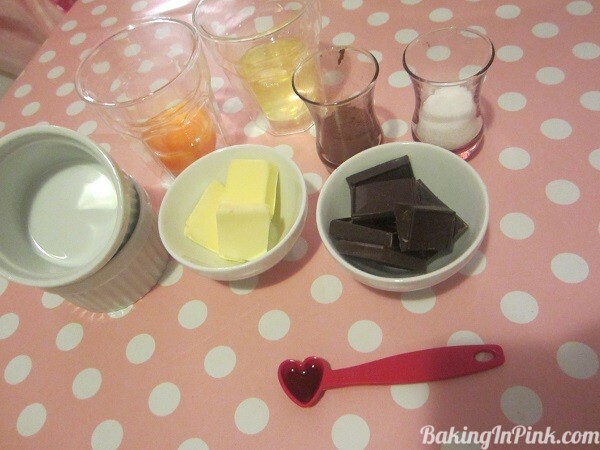 Place the remaining butter, sugar and vanilla into a bowl and beat for few minutes. 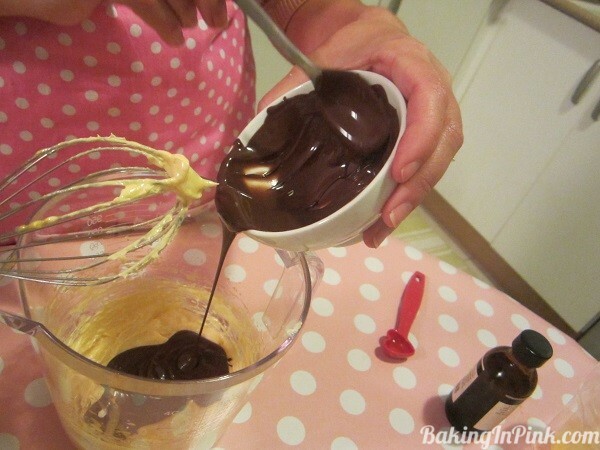 Add the egg yolks one at time and beat for 2 minutes then mix the melted chocolate in by beating on medium speed. In a separate mixing bowl beat the egg whites for about three minutes, until soft peaks form. Mix the egg whites in the chocolate foam by gently folding using a spatula. 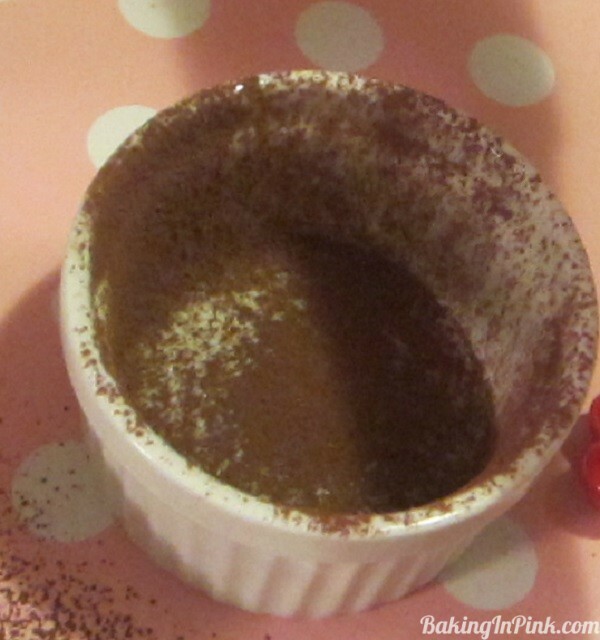 Take your ramekins from the refrigerator and coat them with cocoa powder, tapping the excess off. 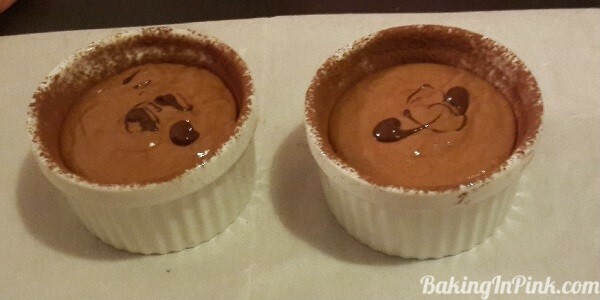 Divide the batter equally to the ramekins filling until 2/3 full. 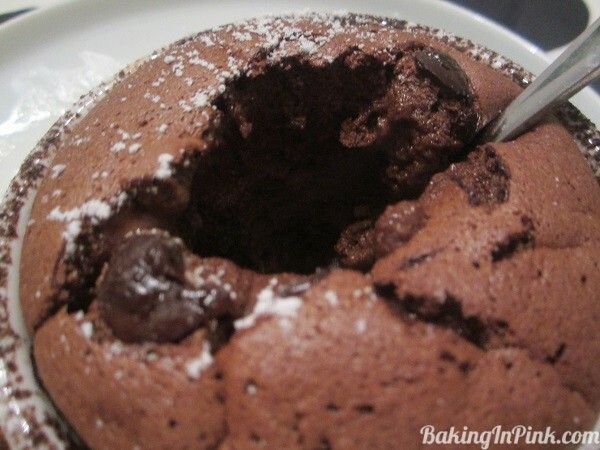 I added some dark chocolate drops on top, that was left in the bowl of the melted chocolate. 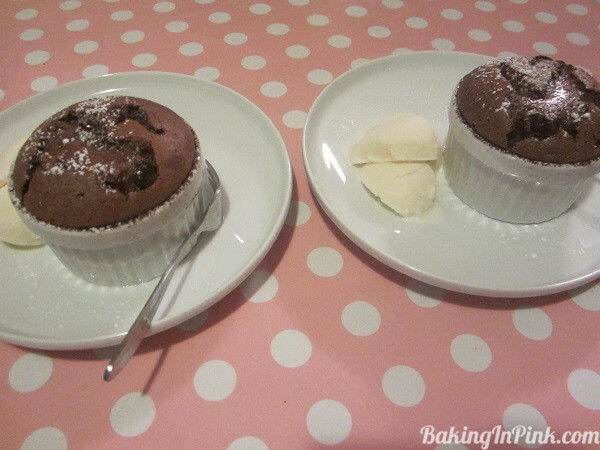 Bake in your preheated oven for 10 minutes. 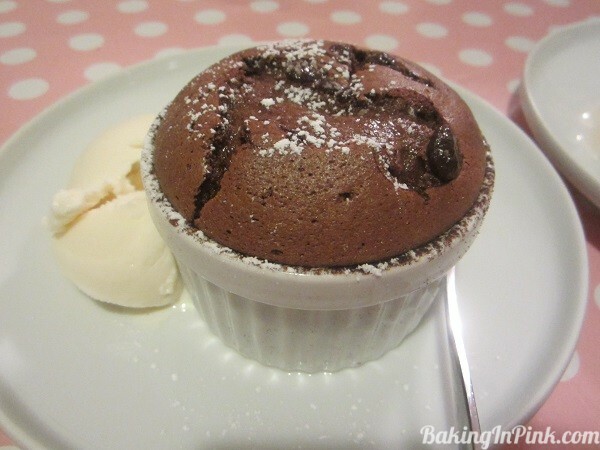 Enjoy straight from the oven with some vanilla ice cream. The sides baked well and did not get stuck on the ramekins, I could have turned them around in one piece if I only realized that before they were already half eaten. Middle was soft and fluffy with center almost liquid.